Fountain Tech is a reliable resource for procuring high-quality and energy efficient wholesale submersible fountain pumps and LED lights. Press Release (ePRNews.com) - USA - Apr 04, 2019 - Water features, such as fountains, add to the charm and beauty of any space. Be it a garden in a house or any public space they are installed in, fountains end up enhancing the aesthetic appeal. Not surprisingly, many people invest time and money in installing beautiful fountains in their homes or commercial space. To ensure that the fountain installed works perfectly, it is imperative that people buy fountain products cautiously and not just randomly. This is because only a few sellers like Fountain Tech sell fountain products that are high in quality and are capable of keeping the fountains fully functional for years to come. Fountain Tech has been fulfilling diverse floating pond fountain requirements comprehensively. The energy efficient FF-3500 Floating Pond Fountain is Fountain Tech’s original floating pond fountain. This pond fountain is ready to plug and play, no tools required. The pond kit comes with 100′ of cable standard, 27″ float, steel filter basket, 100′ mooring rope, and 3500 gallons per hour pump. To suit myriad requirements, the company also offers floating pond fountains with longer cords. This pond fountain is a great deal with large displays (Geyser 18’, Skinny Trumpet, 12′ tall, and arched Wide V), and adjustable height and width. Not just to get fountain pump but Fountain Tech has evolved as a reliable option for those who want to buy submersible fountain lights. The company offers submersible fountain lights in different color variations. Those looking for more information regarding these lights can visit Fountain Tech’s website. 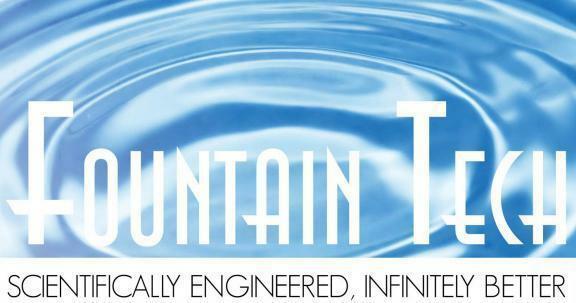 Based in Santa Maria, Fountain Tech is a reputed provider of excellent fountain products. The company over the years has won the trust of people who want nothing but quality, energy efficient and wholesale floating pond fountains , indoor and outdoor water pumps, submersible fountain lights, etc.